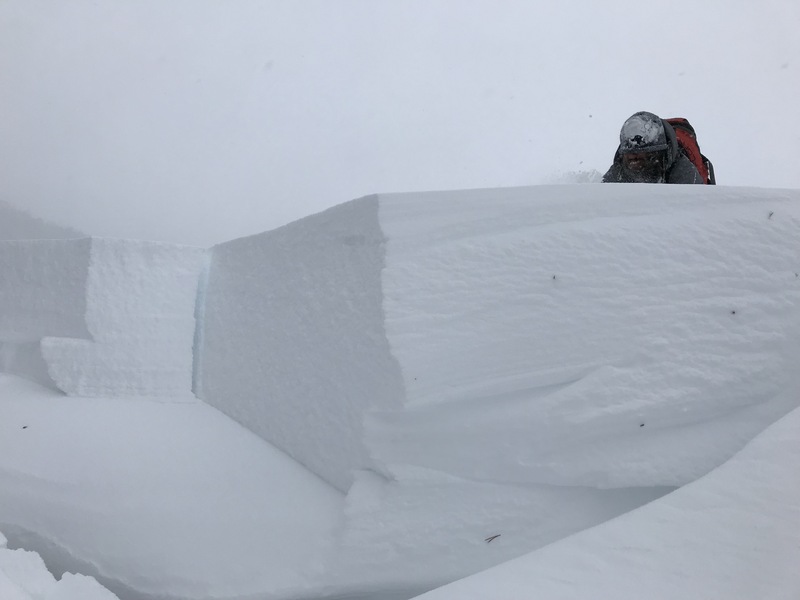 The practice avalanche involved 2 curious snow-workers & a safe test cornice. The cornice was located in a meadow filled with chest-deep snow, accumulation building upon a lone rock. With very little force, the weight of a human, the cornice collapsed with a propagating crack. The crown in areas was over 2' deep, failing at the old snow/ new snow interface. 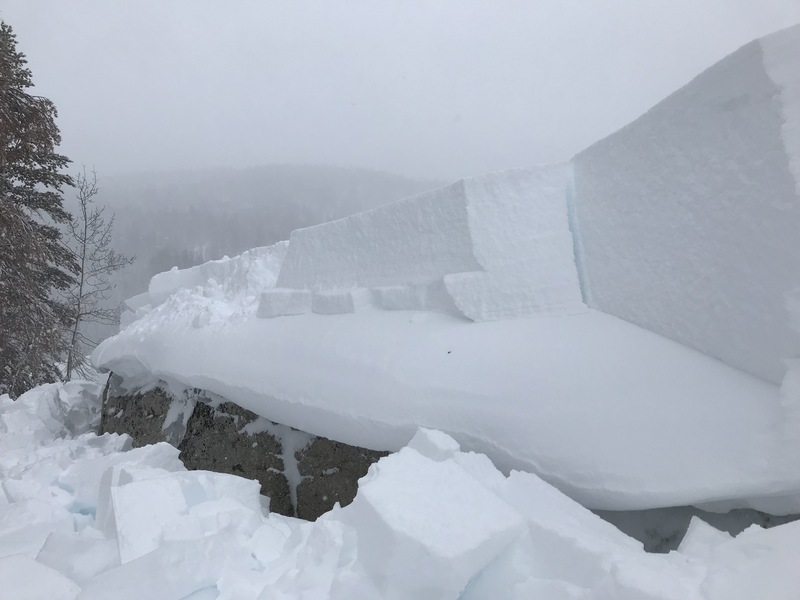 The evidence of rapid failure here correlates to instabilities that our snowpack is harboring; including Storm Slab, Wind Slab, & Cornice Fall. Multiple mid-storm avalanche remnants were visible, especially where rain occurred. The mountain were very hard to see & our travel was limited. Heavy falling & blowing snow made snowmobile travel & visibility difficult. Wind chill values were low. Evidence of rain to almost 9000' was apparent. 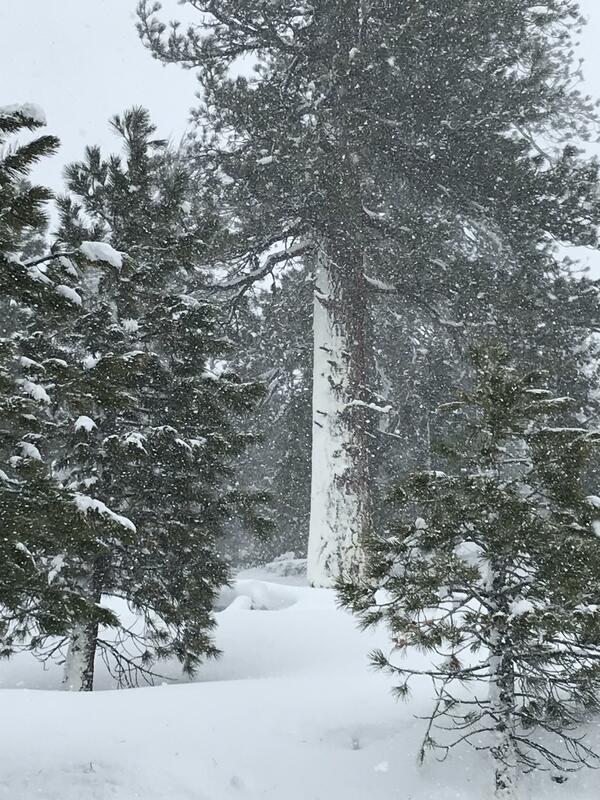 Wet heavy snow below 7500' became a breakable crust at 8500' & by 9000' creamy wind-blown snow was deeply drifted. 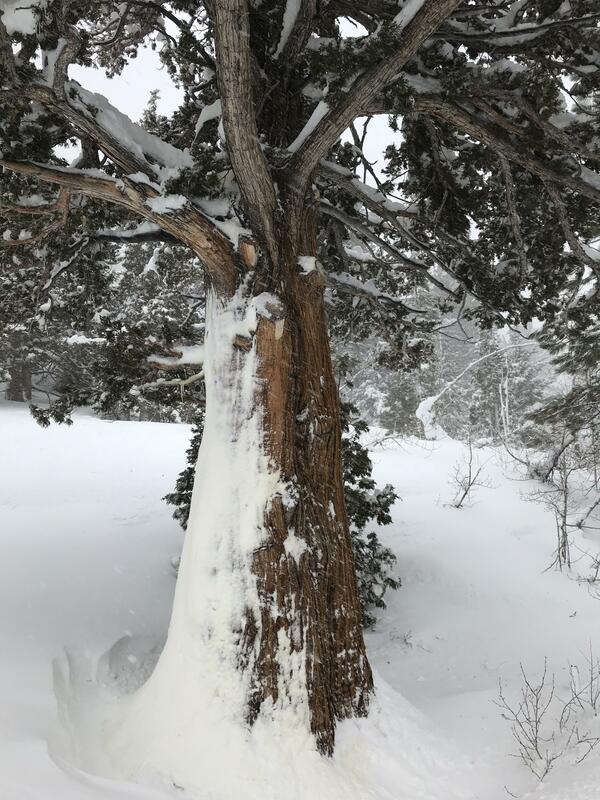 Gale winds have broken tree limbs & cast wet snow far up trees on their SW sides.